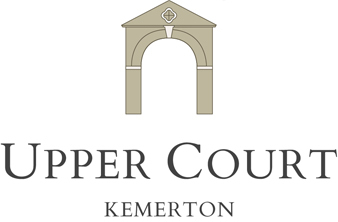 Upper Court and its many facilities are yours for your wedding and we do not allow the self-catering cottages to be occupied by anyone other than your guests. To ensure exclusivity for your special day, we include our four cottages for your guests to stay. For a weekend ceremony our 4 charming on-site cottages are booked out to you for two nights (Friday and Saturday) or one night for a midweek wedding. Take a look at our cottage rates and availability. The Coach House, Stables, Courtyard Cottage and Dovecote are available for wedding bookings. Guests can check in from 4pm on Friday with departure by 6pm Sunday, giving you time to relax with friends and friends before and after the ceremony. Only cottage guests are allowed use of the grounds on Sunday afternoon. Please let us know if you intend to allow other guests to stay on after the ceremony. There are additional rooms available in the manor house that can accommodate 8 adults. These are the Bird Room, Ribbon Room, Westeria Room and the Garden flat, all part of the main house. These are charged separately. The Crown Inn in the village, just a short stroll down our country lane. The Crown’s 4 bedrooms sleep up to 11 – it also offers excellent food, real ales and a lovely country atmosphere. We stayed for a week in May and had a fantastic wedding over the weekend. The venue and setting were perfect. The hosts couldn’t be more helpful. They made us feel very much at home and what a perfect home. The self catering accommodation is all excellent and the lawn in front of the lake couldn’t be more perfect for a reception after a wedding in the beautiful old Church next door. We cannot thank Upper Court enough. We cannot think of anything that could be improved and you certainly couldn’t hope to find a better venue to meet up with extended family.